on behalf of the ESSR, it is my pleasure to welcome you to the Annual Scientific Meeting of our society, to be held June 26-29, 2019, in the city´s Congress Center in our sunny Lisbon. The Congress Centre is ideally located on the Tagus river side and the historical and cultural heritage of Belem. With nearby diversificated offers on hotels, restaurants, leisure activities and just a few minutes from the city center and the city´s airport, this congress center will provide optimum convenience and comfort for our meeting. The Scientific program will focus on “Hip and Advanced imaging”. We will be reviewing the most significant advances in musculoskeletal imaging with an emphasis on the hip joint over the last 15 years and explore new innovations in our field. The most significant advances in musculoskeletal imaging in the last years have involved the hip joint. Different technical innovations are now usual clinical routines not only in the athlete, but also for postoperative imaging, such as MRI of hip implants. Research trends and worldwide experts underline how Artificial Intelligence will revolutionize radiology in the long term as it holds the potential for improved diagnosis, and many other types of decision making. Improving performance is very important to radiology and we will be discussing our role in healthcare in the future during our sessions. Lisbon is a historical city full of stories to tell, where the sun shines 290 days a year, a city full of authenticity where old customs and ancient history intermix with cultural entertainment and hi-tech innovation. Lisbon is famous for its hospitality and loves to receive people from around the world. Here you will have the opportunity to walk on the river side, go to the beach, golf, have a taste of our cuisine and our renowned wines, visit ancient monuments and palaces and listen to our UNESCO´S world cultural heritage song, Fado. We hope to see you in our welcome reception on the 28th for a glass of Porto wine by the river side. An excellent opportunity for us to begin our meeting making new friendships, new scientific collaborations and having a glance at the future of MSK radiology with AI. We are looking forward to receive you in our city! Lisbon is decidedly lively: A wide glittering river, steep cobbled streets, palaces, churches, a castle, tiles in pink, mint and indigo, and culinary surprises. The area of Belém has to offer many big attraction, all in very close distance to the ESSR congress center. The Jardim da Praça do Império is Europe’s biggest plaza, the Museu dos Coches holds one of the world’s biggest collection of royal coaches, and Jerónimos monastery has arches and columns as intricately carved as the filigree silver in every Lisbon jewellers. Also impressive is the private art collection of 20th-century masterpieces at the Museu Coleção Berardo inside Belém Cultural Centre. All of this should be combined with a visit to the iconic 16th-century Torre de Belém, resplendent on the wide and dazzling waterfront. This is a day of teaching ultrasound examination of the Hip and Groin. The session will be run by the Ultrasound subcommittee members who are all experts in the field of Musculoskeletal Ultrasound. Masterclasses revising and demonstrating ultrasound anatomy will start the day. The delegates will then be divided into groups. Small groups will take part in hands-on teaching using volunteers rotating with more formal lectures on topics covering the diseases of the hip and groin that can be diagnosed using ultrasound. The delegates will be streamlined into beginner and advanced groups so that the hands-on teaching can be tailored to their requirements. The focus of this pre-course is to learn to create a strategy to reduce possible complications of musculoskeletal interventions and at the same time to be informed about the development of less invasive interventions. A hands-on parallel session should include theoretical discussion with tutors and a training on models on the anatomy and US- guided intervention approach around the hip. – Participants will learn MRI protocols and specific scanning parameters-a standardized approach to routine evaluation and clear definitions for specific disease stigmata so that ‘over-calling or under-calling lesions’ are minimised. – Sessions focus on the sacroiliac joint, spine, early SpA, the full spectrum of the disease and finally differential diagnosis. Five sessions with interactive case review. The cases will be available on a local PACS system provided by the Johns Hopkins Hospital. The system can be accessed via standard browser apps of handheld devices such as iphones, ipads, android phones and tablets, as well as PC and Mac laptops. The first congress day will feature a mix of hot topic sessions focussing on Hip imaging and Advanced MSK Imaging, next to abstract presentations and sessions prepared by the ESSR subcommittees. Highlights will be the OPENING SESSION with a live performance of Fado music, an unfortgettable experience of local tradition. Also not to miss are the ESSR MEETS SPAIN & BRAZIL and the newly introduced YOUNG CLUB SESSION – LEARNING WITH THE MASTERS session, with live Ultrasound demonstration on stage. The second congress day will follow the parth of the first day with key note lectures by distinguished colleagues, presentations of scientific papers and subcommittee focused sessions. Don’t miss the HONORARY SESSION, honouring Prof. Remide Arkun and Dr. Victor Cassar-Pullicino for their outstanding contributions to the advancement of musculoskeletal radiology. Amongst other highlights will be the INTERNATIONAL SESSION – Discovering new worlds, welcoming admired colleagues from the international partner societies of ESSR and the annual ESSR QUIZ, challenging your knowledge in MSK imaging. We are proud to announce that Thieme will organise a dedicated Writers Workshop on occasion of the ESSR 2019 Congress. Registration is free of charge, but delegates number is limited. Target group: doctors in training and young radiologists within 5 years of completion of training. If you are interested to attend this workshop, please shortly inform office@essr.org to be put on the delegates list. *Registrations categorized as “Student” are limited to students without any academic title under the age of 30. A proof of your student status has to be sent to the ESSR Office. 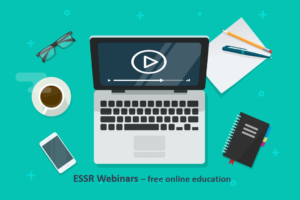 Download here the Terms & Conditions for your ESSR 2019 Registration. The abstract system is closed, thank you all for submitting more than 310 abstracts! Accepted abstracts for oral presentation will be invited for a lecture within the scientific programme. Accepted abstracts for poster presentation will be invited to submit their posters to the EPOS Poster Submission System. Notifications have been sent end of January 2019! The abstract should be separated in “Purpose”, “Methods & Materials”, “Results” and “Conclusion”. The body limit is 400 words. Authors of accepted oral presentations will be invited for a presentation within the Scientific Paper Sessions. Presentation time will be up to 10 minutes (depending on the final programme). The presenter of an oral presentation has to be registered for the ESSR Annual Scientific Meeting. Accepted abstracts will be published (as submitted to the system, without further notification) in Thieme, partner journal of ESSR. The abstract should be separated in “Learning Objectives”, Background”, Imaging Findings or Procedure Details” and “Conclusion”. The body limit is 400 words. Authors of accepted scientific posters will receive the login details for the EPOS Submission System in order to upload their posters. The presenter of the poster has to be registered for the ESSR Annual Scientific Meeting. Authors of accepted scientific posters will receive the login details for the EPOS Submission System in order to upload their posters. You confirm, that all authors mentioned in the author block of this abstract have been informed about, and agreed to this submission. This work has not been published or presented at any other meeting prior to June 2019. Only digital projection material will be allowed. It will not be possible to use any personal computer or laptop for presentation. 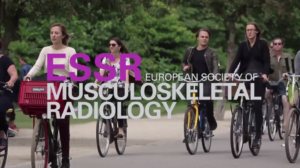 ESSR (European Society of Musculoskeletal Radiology) may publish your abstract in the printed programme brochure and display the abstract at the website after the ESSR Annual Scientific Meeting 2019. Accepted abstracts for short oral presentation are published under the copyright of Thieme journal. The author has to obtain permission to re-use it. The presenter of this abstract has to register for the ESSR Annual Scientific Meeting 2019 in order to present the abstract and/or to have the digital poster displayed during and after the congress in the EPOSTM system. ESSR 2019 will stage a fully electronic poster exhibition. If the abstract is accepted for poster presentation (educational or scientific), the poster material has to be uploaded to the EPOSTM System. There will be no dedicated session for poster presentation. The submitter affirms to the ESSR that the abstract does not contain any material that is libellous, defamatory, or otherwise unlawful, and that it does not contain any material that invades the right of privacy, any proprietary or copy-rights. Notifications will be sent end of January 2019. All submitters of one or more accepted abstracts are asked to confirm their presentation(s) within two weeks after receipt of the notification(s). We are happy to announce that several rooms have been reserved in different hotels in Lisbon. Bookings are subject to availability. Please note this is a third party service provided by an external company. In case of any questions and inquiries kindly contact Loveevent using the below indicated details. ESSR may not accept any liability for external services. The ESSR Ultrasound Course, Lisbon, Portugal, 26/06/2019 has been accredited by the European Accreditation Council for Continuing Medical Education (EACCME®) with 7 European CME credits (ECMEC®s). The ESSR MSK Intervention Course, Lisbon, Portugal, 27/06/2019 has been accredited by the European Accreditation Council for Continuing Medical Education (EACCME®) with 4 European CME credits (ECMEC®s). The ESSR Master Class on Hip Imaging, Lisbon, Portugal, 27/06/2019 has been accredited by the European Accreditation Council for Continuing Medical Education (EACCME®) with 4 European CME credits (ECMEC®s). The ESSR 2019 – Annual Scientific Meeting, Lisbon, Portugal, 28/06/2019-29/06/2019 has been accredited by the European Accreditation Council for Continuing Medical Education (EACCME®) with 12 European CME credits (ECMEC®s). Each medical specialist should claim only those hours of credit that he/she actually spent in the educational activity. Through an agreement between the Union Européenne des Médecins Spécialistes and the American Medical Association, physicians may convert EACCME® credits to an equivalent number of AMA PRA Category 1 CreditsTM. Information on the process to convert EACCME® credit to AMA credit can be found at www.ama-assn.org/education/earn-credit-participation-international-activities. Registration to the ESSR Annual Scientific Meeting 2019 is to be made electronically by completing the respective registration form. Registrations without full name, complete email, postal address and date of birth cannot be processed. Registration fees depend on the date your payment is received at the bank account and will be considered as incomplete and adjusted accordingly if the payment is not received by the relevant deadline. Sponsoring 2019 – What to expect? We have the honour and the pleasure to welcome you to participate to the next Annual Scientific Meeting of the European Society of Musculoskeletal Radiology, in the wonderful city of Lisbon. This year the theme will be “Hip & Advanced MSK Imaging”. A second lecture stream will cover a wide range of themes in MSK radiology, such as Sports, Arthritis, Osteoporosis, Pediatric, Tumours and Imaging Guided Interventions. Besides our standard options, we will be happy to create your very own sponsor package or discuss further/other options that might be interesting to your company. We would be delighted to welcome you as a partner of the European Society of Musculoskeletal Radiology in 2019. For further information please contact office@essr.org.